Among the men listed as suitors of Helen, and those named as leading ships to Troy, we find the footnote of Polypoetes, the son of Pirithous. Those of you who have been reading this blog for any length of time know that I've done a lot of THINKING (and writing!) about Pirithous, and Polypoetes's mother, Hippodamia -- but until I started writing my last manuscript, I hadn't really considered their son. It's funny how you can write two or three books about a character just for your own pleasure or entertainment, and then realize after the fact how desperately important it was for you to write those other books, so that when you sit down to write the thing you are writing at that moment, you have the background you need to tackle it. And that's kind of what happened for me with Polypoetes and this last manuscript. Because I was so caught up in the more familiar names and characters -- Odysseus, Ajax the Great, Menelaus, Agamemnon, Penelope, Castor and Pollux -- that I had overlooked Polypoetes as a part of the story I was writing. Until he was on top of me. And I couldn't help but explore his perspective, just a little bit. Because here was the son of Theseus's best friend, Pirithous the instigator. Here was the son of the man who, by some accounts, provoked the entire Kidnap-of-Helen-and-Persephone adventures. 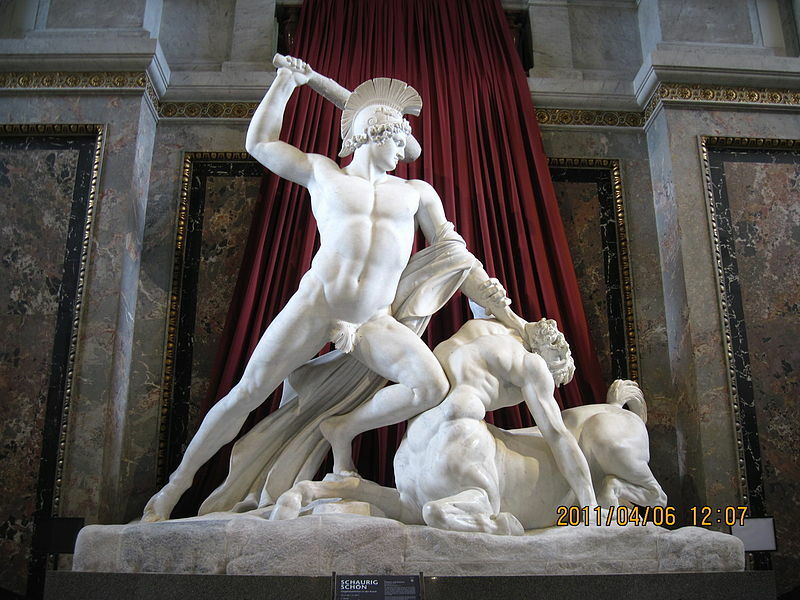 Here was the son of the man who, one might argue, cost Theseus EVERYTHING, and by extension for my narrative, cost HELEN everything too. What kind of courage did it take him to march or sail himself to Sparta and present himself as a suitor to Helen? Or was it a matter of honor, itself? Was he there because of Helen's beauty, or was Helen's beauty just a happenstance, because he felt there was a debt that must be paid? And what does he think about his father's adventures? Or his father's reputation, generally, for that matter? What does he know, and how closely is he bound up in the affairs of Athens, and Theseus's family? Certainly he was old enough by the time HELEN OF SPARTA takes place that he could be left in Thessaly to rule in his father's place -- I imagine he was of a similar age to Hippolytus, Theseus's oldest (deceased) son. Were they friends? Does he grieve? Fortunately for me, I knew Polypoetes's early history. I knew Pirithous and Hippodamia's story already, because I'd written their book just before. And I think that made giving Polypoetes a voice that much more attractive and inspiring. Because having known his parents, I wanted desperately now, to know their son. I hope someday you'll get a chance to know him too! Last week I was interviewed on Rocket Punch Radio (Episode 6) where I got to talk about HELEN OF SPARTA, and which gods would win in some epic throw-downs (Zeus vs Odin? Everyone has an opinion!) I also talked a little bit about Paris of Troy, because it's pretty much impossible to write a book about Helen without stumbling over Paris's part in the whole thing -- thankfully I had recently re-educated myself on his history! I had a great time recording this, and you should definitely give it a listen and let me know in the comments who YOU think would win if the gods battled it out! 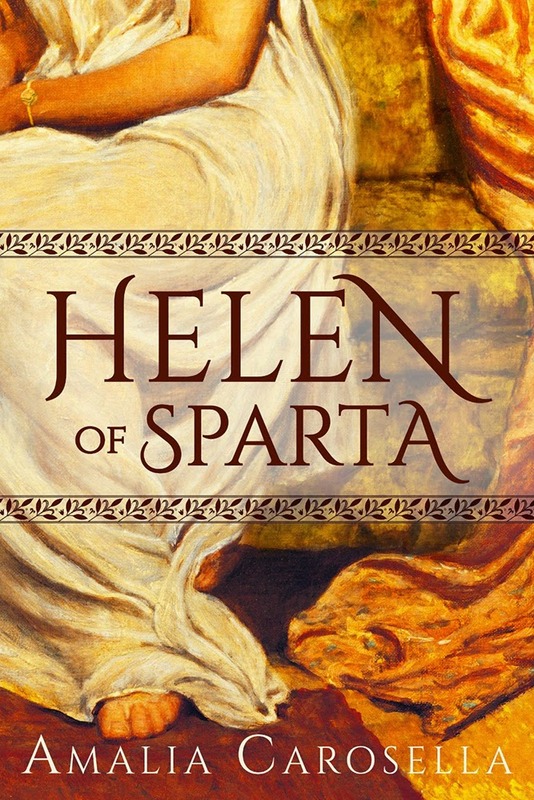 from the HELEN OF SPARTA launch party! 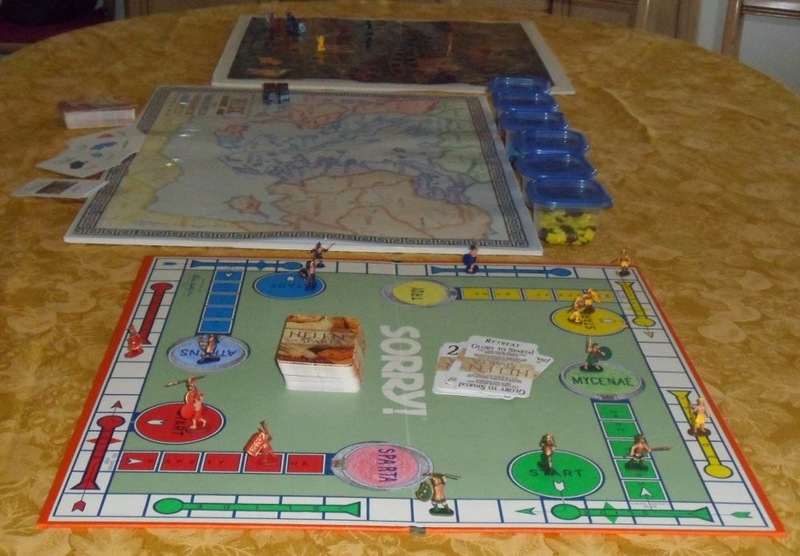 It's been pretty non-stop Mythology and Mycenaean Greece on the blog since HELEN's release, but I figured it was about time for an authorial update! The EXCITEMENT of carpet destruction (etc) is likely to be impossible to escape and even more impossible to write through, so I don't expect to do more than pick at things here or there, but maybe if I'm lucky I'll get through some edits for that other Amalia. We'll see. Best Laid Plans, and so on! Here's hoping your May is a lot quieter than mine, and that June will be clear sailing for everyone -- and at the very least, I've got the Historical Novel Society Conference at the end of June to look forward to, so Sound Off in the comments if I'll see you there!